The midface or cheek area is frequently one of the first areas to reveal signs of aging. As the midface changes with time, gravity and volume loss, it yields facial alterations that connote a more aged appearance. The youthful fullness of the cheekbones reveals a more flattened, older looking face. The Midface Lift is a minimally invasive facial rejuvenation procedure that lifts cheeks vertically opposite to the pull of gravity to create a natural, refreshed appearance. Specializing exclusively in cosmetic procedures of the face, our Facial Plastic Surgeon Dr. Bassichis can use this procedure to refresh hollow lower eyes, renew cheeks, soften smile lines, and lift the corners of the mouth. 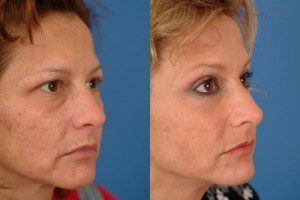 This technique is particularly well suited for younger to middle-aged patients and can make a dramatic change in the way you look by lifting sagging muscles and skin of the cheeks and jowls. 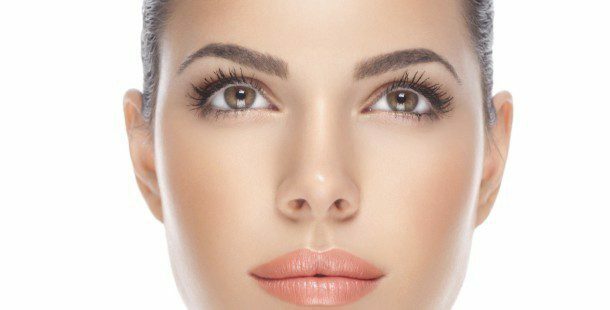 A Midface Lift gives many of our patients the Outward Lift that reflects their inner energy. Our Midface Lift can be performed alone, but can also be easily combined with facial fillers, fractionated CO2 laser resurfacing or blepharoplasty for a truly customized outcome. Facial Plastic Surgeon Dr. Bassichis’ midface lift is an effective method for restoring youthful fullness to the face. We look forward to seeing you for a complimentary consultation regarding Midface Lift.